We are pleased to announce a successful exit from I.D. Images through a recapitalization by a Senior Lender. In 2007, Merion provided capital for a Management Buyout. 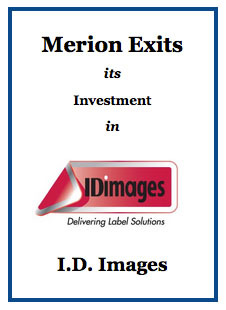 During Merion’sinvestment, I.D. Images successfully de-levered through cash generated by operations.